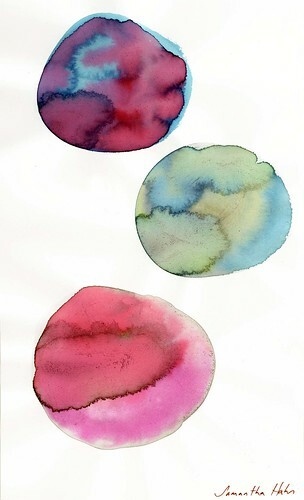 I made these circles for a friend as part of a triptych. See the triangles and rectangles here. It’s been a mad week. Lots of socializing, work and freelance projects going on all at once. Next week is crazy too. Thought I’d leave you with what I consider my peaceful work. Doing these little watercolors calms me and hopefully you feel calm while looking at them.